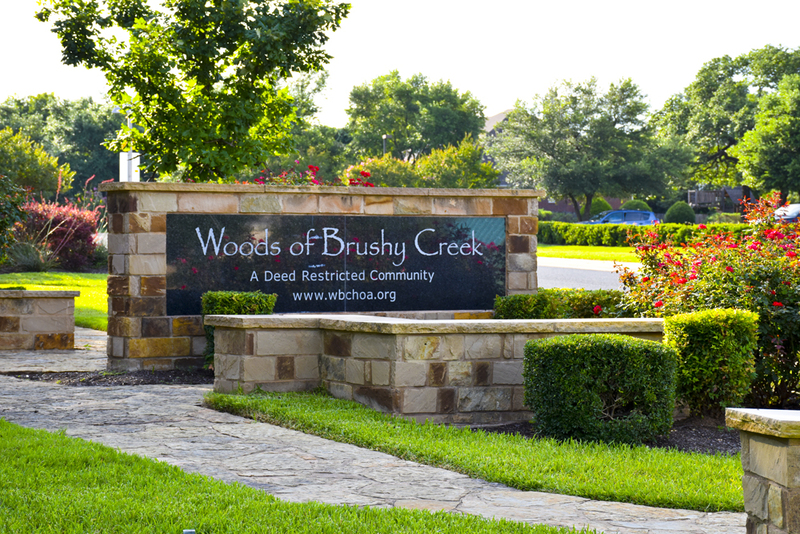 The Woods of Brushy Creek HOA is located within the Brushy Creek Municipal Utility District, which was formed as Williamson County Municipal Utility District No. 2 on October 27, 1977. The District name was changed to Brushy Creek Municipal Utility District on August 31, 1990, and includes two non-contiguous areas, one lying between Sam Bass Road and FM 1431 and one area lying mainly between Brushy Creek and RR 620, but also including an area south of RR 620. A municipal utility district functions similarly to a city but does not have the broad powers of a city such as zoning and building permitting, nor can it charge or collect franchise taxes or sales taxes. The District does provide Water, Wastewater/Sewer, and Solid Waste/Recycling services to all of its residents. As a member of the District, residents of The Woods of Brushy Creek have access to the Brushy Creek Municipal Utility District Community Center a 36,000 square feet facility that includes two full gymnasiums, an indoor walking track, a group exercise room, two racquetball courts, men’s and women’s locker rooms with showers, fully equipped weight room, child play area, game room, craft room, community lounge, kitchen and banquet or meeting rooms.